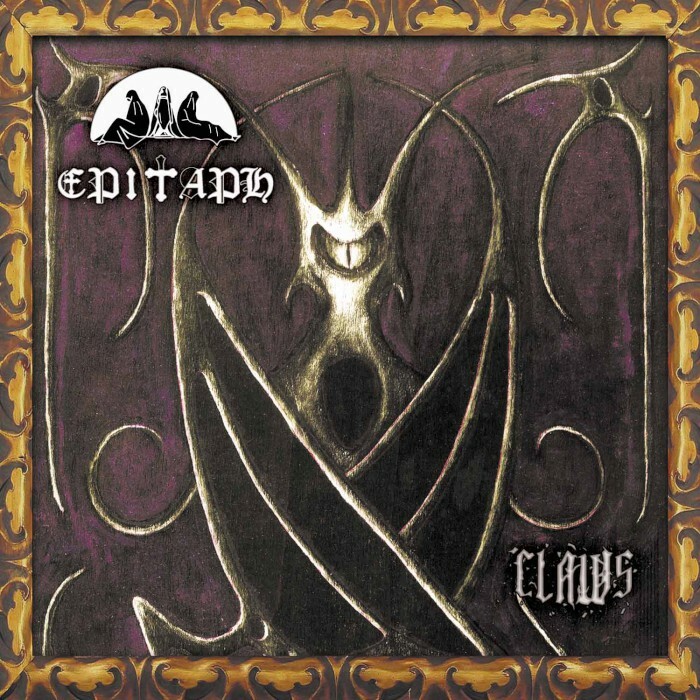 This is the second album from Italian doom metallers Epitaph. 2014’s Crawling out of the Crypt was one of my favourite release from that year, and if I had to do that best of list over again the album would have definitely made it into the top 20 or so. As much as I enjoyed it at the time, it’s been a firm grower, and is an exceptional example of doom metal done right in an authentic, honest, and traditional way. Which is why, as you can imagine, I’m quite excited to now be able to listen to their latest offering. As always, lovers of bands like Black Sabbath, Pentagram, Saint Vitus, Candlemass, etc. will find a lot to like here. Unlike Crawling out of the Crypt which was formed from decades of ideas and material, Claws is newer, fresher, and is more representative of the Epitaph of 2017. The essential ingredients of Epitaph have stayed the same – a love of quality riffs, catchy vocals that are full of character, occult atmospheres, sinister melodies, etc. – but have all been updated and presented in what’s probably a slightly darker manner than previously. Although this new album is about 20 minutes shorter than their debut, and with four less songs, the individual tracks are generally a tad longer. The songs are every bit as well-developed as the ones on their previous album though, despite the shorter gestation period that this new music has had. It’s easy to lose yourself in this album. The songs flow easily from one to the next, and each one has a lot to recommend itself in its own right. The insidious melodies and atmospheres the tracks create are infectious and transportive, taking the listener on a journey that they absolutely want to go on, one that’s rich, rewarding, and extremely satisfying. Full of tasty riffs and vocals that are as memorable as they are full of personality, Claws is well-titled, as the songs get their claws, (ahem), in you and refuse to let go. On Claws Epitaph have once again demonstrated that they’re at the absolute head of the pack when it comes to traditionally-delivered doom metal. Essential and thoroughly enjoyable. Get this. This entry was posted in Doom and tagged Black Sabbath, Candlemass, Doom, Doom Metal, Epitaph, Metal, Pentagram, Saint Vitus, Traditional Doom Metal. Bookmark the permalink.